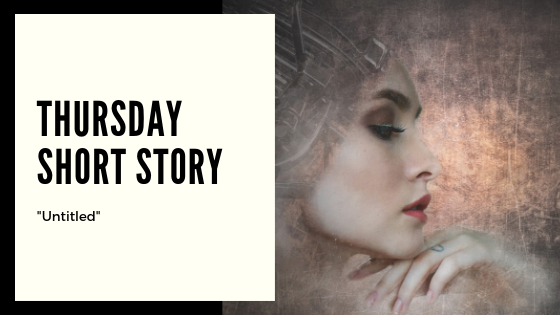 It's been quite some time since I've dropped a short story on the blog, so I thought today (Valentine's Day or Singles Awareness Day, whichever one you're observing this year) would be a great day to share one I've written recently. A present for you, wherever you're at in life at the moment. Head's up before you start reading - this is not the final draft. I don't have a title yet, and I'm still smoothing out its rough edges. I should know better than to speed walk with an overflowing cup of coffee from the breakroom back to the conference room. I'm supposed to be supervising Robin as he sets up for tomorrow's company-wide conference call, but I didn't have time this morning on the way in to the office to get my normal cup. And I needs my coffee. Thank you, random power outage, for forcing my internal clock to wake me up instead of my alarm. So I'm speed walking down the hallway, muttering under my breath at the liquid threatening to slosh over its side. "Don't spill, don't spill, don't spill..."
That's when it happens, as I'm rounding a corner (because office suites never have straightforward line of travel to anywhere). Bob from accounting with Betty, his AI partner, are rounding it at the same time, from the opposite direction. I recognize Bob from AI partner training - him for Betty, me for Robin. And I run smack into Betty. My cup slips out of my hands. Coffee cascades over the two of us. She doesn't spark like Daniel did when the bathrooms flooded a few months back, but whatever she was in the middle of saying to Bob dies on her lips. There's no way my coffee did not get into her circuitry. It's not the AI technology I'm cursing inwardly about. I love it. I love all of it, including robotics and artificial intelligence. It's the reason for the course of study I chose in college and why I took this job in the first place. I've been fascinated with technology in all its forms since I was a little girl. As an adult, I've come to respect them as well-trained, highly skilled co-workers. Many have the capacity now to sound as human as some of the robocallers my parents complained so much about when I was growing up. My only issue is that one accidental brush with liquids and there is nothing you can do to save them. In a world where tech companies have pushed so hard to integrate AI workers into the human workforce, one would think they'd have figured out the right combination of materials to protect them. One's thoughts would be wrong, and Betty's just paid the price for it. Bob is quick to act, though. He presses a few buttons in Betty's neck, which stops the full weight of her mechanized body from falling to the floor and sends an alert to the AI maintenance section of IT. They're the least busy anyway, so someone should be along shortly. As long as they're not wrapped up in some kind of video game. "I'm so sorry," I sputter. "It's a..."
"I know," Bob says, his tone calm. "It's a blind corner. Major design flaw. At least Betty's not on fire, though." He's trying to diffuse the situation with humor. I know that, and I appreciate the attempt. But I've just complicated his job - whatever it is he does in accounting. Especially if they can't get Betty up and running again. His supervisor may decide there's no justification for the expense of replacing her right now. I feel guilty. There's not much Bob can say to make me feel better about the situation. "There is that," I say out loud. "Um... is there-"
"Nope." Bob cuts me off. "Nothing you can do here except go on about your business. Which, I'm assuming, is making sure Robin's got everything set up for the conference call tomorrow." Another thing to feel guilty about, leaving Robin alone for longer than I intended. He's my AI partner, and here I am. Standing in the middle of a hallway, talking to Bob, spilled coffee all over me and more worried about Betty than my job. "I'm sure Robin's doing just fine on his own," Bob says. That's not my main concern. Robin can do everything I can do and then some. AI in robotic form has been billed as a replacement for the likes of me, but the company we work for insists on giving them human partners to work with. Slow them down, truthfully, but I suppose it's a side effect of all the literature and films underlining the dangers of putting AI to work in this capacity. Everyone trust them to do the work, but not to be left alone to do it. For a moment, there's an awkward pause in the conversation. Lest the hallway stay quiet, though, the sound of a door opening and closing further up drifts down in our direction. It's followed by footsteps, but they're moving away from our direction. Still, the interruption brings me back to reality. "I should probably clean myself up and get back to work," I say. Bob nods, smiling a little bit. "Soon as I get Betty settled in with maintenance, I'll see about replacing your coffee. Chai latte with soy milk and the barest hint of sugar?" I can't even find words to respond to that. I just head into the nearest bathroom to survey the damage to my work clothes. To the casual observer, there's not much to see. My shirt, where most of the coffee coming in my direction landed, is nearly the same color. Very little problem there. The drops that landed on my slacks, though. I blot furiously at them for several minutes, letting the maintenance team come and go while I try to work out what just happened. I don't know what I'm more surprised about right now - Bob not seeming too upset about Betty, or how he knows my normal coffee order. I'm not sure I want to try to figure out how he knows it, either. What did you think? Are there any changes you would recommend? Let me know in the comment section!